The Matthews has another great season from September 2018 through April 2019. Pick out seat(s) and they are YOURS for each of these events. 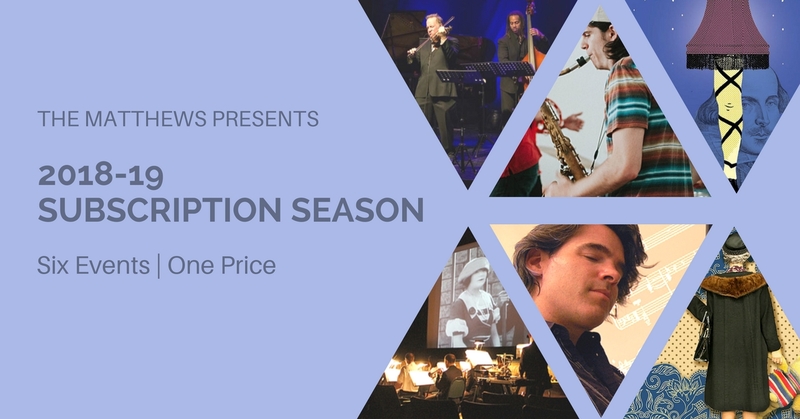 CLICK TO LEARN about this season's EVENTS. Please enter number of subscriptions in each category.